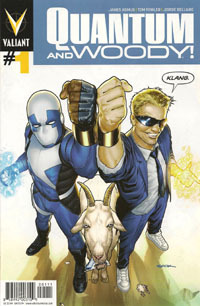 I don’t know when it was that I first heard of Quantum and Woody, but I’m pretty sure it was at least a decade ago. 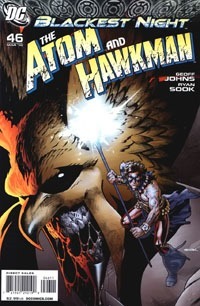 Of course, I didn’t know their significance at the time–no, the appreciation I’ve developed has come only in recent months and thanks to Comixology’s 99-cent sale of the classic material a few months back. I also don’t recall now if my Comixology purchase of the entire classic series preceded knowledge of this new series, though I’m pretty sure my interest was actually sparked by knowing there’d be new material and wanting to read some of the original. Whatever the case–I’m familiar with the first half of the original run, which I think made this new #1 actually more enjoyable for me. That being said, like what I’ve read of the original, the reader is kinda thrown into things here, to pick up information through flashbacks and such. We open on a scene of our heroes, Quantum and Woody, falling from a building and making the news, basically seen as the world’s worst super-heroes, if indeed that’s what they are. We then flash back to their past as adoptive brothers, before moving to the present where the pair learns of the death of their father. As things unfold they learn that all was not as it seemed–and they seek answers that throw them together into a rather explosive situation leading to the obligatory To-Be-Continued. Visually I’m quite pleased with this issue…no real complaints or negatives for me on the art side of things. Story-wise, I rather enjoy the maintenance of the “chapter headings” Priest made popular back in the day on the original series as well as in his Black Panther run for Marvel Knights. While stylistically different from the other Valiant books, it gives a certain familiarity to this that is welcome and appreciated…it also keeps this book fairly unique, providing a different “voice” than the other Valiant titles right now. Though the bulk of the issue is essentially “origin” stuff, I the non-linear narration allows for an appearance of the characters AS Quantum and Woody in this issue; introduces the characters behind the hero-guises, and sets up the motivation that drives them…which to me is quite good for being the first issue of a brand new series. While this is a Valiant #1, retains the standard trade dress of all the contemporary Valiant titles, etc. you don’t need to have any background whatsoever with other Valiant books in order to “get” and enjoy this issue. If you were merely handed the pages to read and had never heard of the property before, there’s nothing whatsoever here that requires you to have read anything else. Marvel‘s recap page works particularly well here, as it not only recaps the previous issue, but shows (I think full-sized) the central point of the final page of # 1…and though we cut immediately to a "meanwhile," it brings the reader back in enough to have that bit of tension necessary for when we get to the fate of Rictor, who was unceremoniously shoved off the edge of a building by one of Jamie’s dupes in the previous issue. Layla Miller integrates herself into the team, proving some immediate usefulness, though her explanation for knowing things seems to get on Guido’s nerves. We get a glimpse at the "bad guys" orchestrating some behind-the-scenes events, and a mysterious figure that I’m not even going to try guessing at the identity. 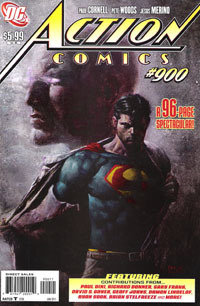 Overall, this issue picks up the threads of the previous issue, and advances the story a bit–resolving a key point of that issue, as well as introducing new elements to the main story, and setting things up for future issues. If the issue seems a bit choppy, it’s from juggling Rictor’s fate, X-Factor HQ, Jamie and confronting his dupe, and other elements of the story in the confines of a single, regular-sized comic. 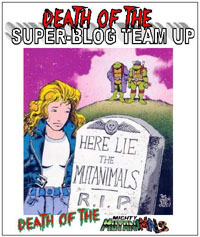 Despite that, fans of these characters–and present writer Peter David–will likely find little complaint other than the next issue not being out yet. The art works well with the story, keeping a visual/stylistic difference from "standard fare" X-stuff, as well as the noir tone the story carries. A brief exchange between a couple characters provides an interesting meta-textual commentary on the tile of the "Decimation" event this title is a part of, both addressing reader concerns of no thought going to it as well as providing a jab at the media. On the whole, this is another fine issue of a fairly distinctive title. If you don’t care about any of the characters or the writer (or the art team), then don’t expect to like it. However, if you enjoy PAD‘s writing, and/or the characters, or even just the art on these particular characters, you will very likely enjoy the issue. If you’re just curious about things, this is just the second issue–shouldn’t be too hard to locate a copy of the first issue (in whatever print edition) and jump on the ride. Recommended.